The Starry Flounder (Platichthys stellatus) is an unmistakable flatfish from the Pacific Northwest due to its diamond shape and broad bands of black on its fins. 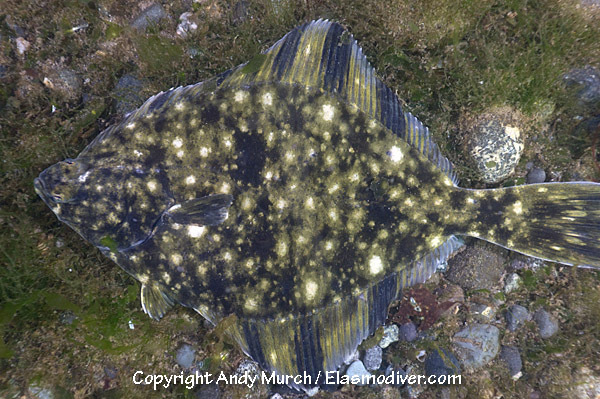 These Starry Flounder pictures are available for commercial licensing. For further information regarding usage please e-mail Elasmodiver. All of the images on elasmodiver.com are copy right protected. No unauthorized use of these Starry Flounder pictures is permitted. Please contact Elasmodiver for further information.